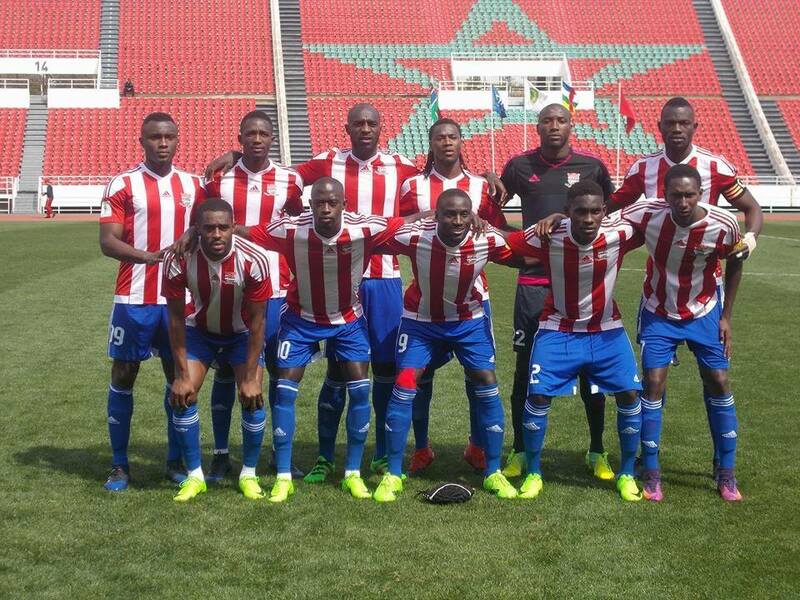 Gambia national local based team ( CHAN ) got off to its perfect start at its second and final friendly international match against Morocco’s U-23 side when Lamin Chartty opened the firing one nil at 13minutes after kick off. Morocco equalized one all and continued the balance of play although the hosts maintained the fairly good possession of ball control up to the break. Secodn half resumption saw the visitors increased the scoring but that was short live after super sub Mustapha Drammeh came on to tap a wonderful equaliser from the penalty after Yahya Ndong was brought down in the area. Drammeh added a brace after a beautiful interchange of pass from new entrant and captain Sulayman Saho with nimble footed Saihou Mansally at the right wing. The local lads ended their second outing on a brighter note after their first goal less draw over the weekend. It is a fabulous two wins on the bounce for the Gambia. After the Scorpions 2-1 defeat of the Central African Republic on Monday in Rabat, their equivalents at local level also on Tuesday afternoon secured a 3-2 come from behind win over Morocco in their second appearance. The friendlies are part of a line up of technical preparation designed by the football leadership for the two national categories in their forth coming CAF engagements later in June. The Gambia is paired with Mali in the CHAN qualifiers while the Scorpions will take on Algeria, Benin and Togo in the AfCON 2019 Qualifiers which also kicks off in June. In attendance at the Box Bar mini stadium was GFF President Lamin Kabba Bajo and Executive Committee members of the Federation, Secretary General Abass Bah amongst other high profile invitees and a buzzing crowd of fans and admirers of the Junior Scorpions.